Ben, Oliver, and friends embark on their annual Bikeriders Tour spanning from Dallas to Pittsburgh. 10 cities in 11 days. Motorcycles, music, tattoos and a lot of partying. 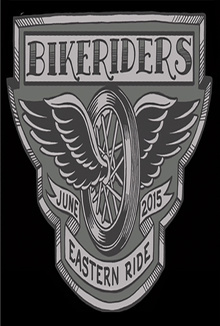 Bikeriders Eastern Ride is a gritty, unscripted arced docu split between six episodes where Ben Nichols (Lead Singer of Lucero) and Oliver Peck (Tattoo Artist and TV personality) ride motorcycles over 3000 miles for their annual Bikeriders Tour. Ben plays solo shows at different venues as Oliver tattoos in each of these 10 cities all while promoting a charity for injured motorcyclists called True South. The sequence of events takes you behind the scenes of life on tour, on the road, and sends a positive vibe for motorcyclists, music, and the tattoo community. Ben, Oliver and friends embark on their annual Bikeriders Tour spanning from Dallas to Pittsburgh playing shows and tattooing in 10 cities. This is a road trip docu-series of the Bikeriders Tour involving motorcycles, music, tattoos, partying, the old and new friends they meet along the way, and raising money for the True South charity. This bundle includes all six episodes from Bikeriders Eastern Ride tour, bonus videos, and an entire audio recording from Ben's first show.